During floods or river overflow, you may be able to seek shelter from the storm, but your car is not always so fortunate. 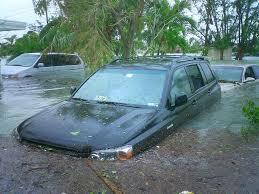 Every year, many people face Flood-damaged cars which leave them wondering if their flood-damaged car is repairable. A real assessment of the damage is required to determine whether you can repair a flood-damaged car or not. Minimal dampness in the car can be dried out but vehicles that were totally submerged in water may not be able to be repaired. The second big question is if the flood-damaged car is worth repairing. You are looking at some serious cash depending on the extent of the damage. Your insurance company is not going to cover the flood damage unless you have comprehensive coverage. Your insurance company will total your flood-damaged car if the cost of repairs exceeds the current value of your car. Start by determining your car’s actual worth before deciding whether you should repair your flood-damaged car. Have a specialist look at the car to determine if your flood-damaged car is repairable or worth repairing. Get at least three estimates from different mechanics to be on the safe side. You know whether your flood-damaged car is worth repairing now that you have the value of your car prior to the damage and the cost of repairs. You may want to sell your flood-damaged car to a junk car buyer if the repair costs exceed the value. Trying to get it repaired is an option if the repair costs are minimal or the car is new. flood-damaged cars can be repaired, however, it can have serious impact years later. Damp spots might produce mould while other parts of the car can rust with time. Also, you may have a permanent mildew smell in your car. Your best option is to sell your flood-damaged car online if you have an older car with flood damage and insurance would not cover the costs. 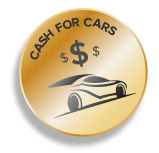 Cash for Cars Adelaide is just the buyer to help. Why go through the trouble of repairing your flood-damaged car when Cash for Cars Adelaide can get rid of your flood-damaged car for cash. We offer free towing of your vehicle from any location in Adelaide to remove the car from your property and leave you with cash in hand. Call us now at 0477 413 136.